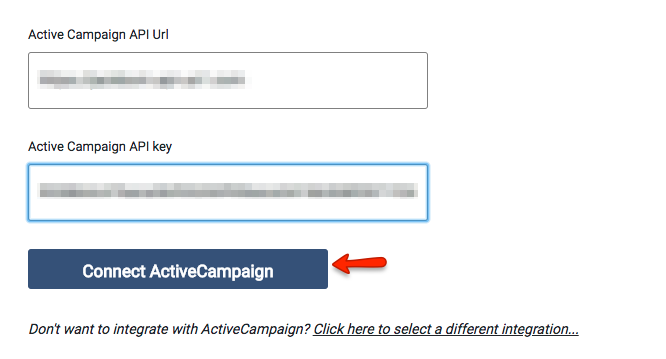 The API integration with ActiveCampaign is the easiest and most flexible way to integrate Deadline Funnel with your ActiveCampaign account. Each Deadline Funnel campaign gets its own API integration. 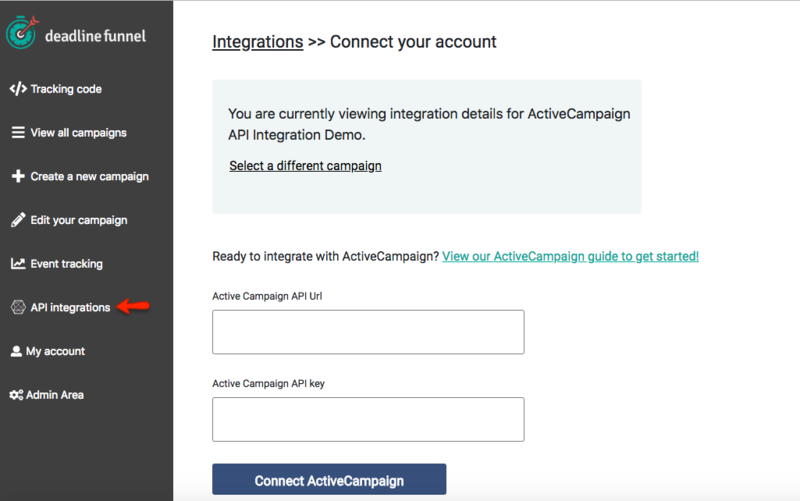 Important: You will need to complete the setup of your first evergreen campaign before you will see the API integrations link in the left nav. Be sure to select API Trigger as the trigger and ActiveCampaign as your email service provider. We call this the "deadline text" field, and it's just a field in ActiveCampaign that stores each lead's unique deadline. You can create this field from Deadline Funnel if you need to while you're setting up the integration. If you want to use an existing custom field, select it from the drop-down. To create a new custom field, start typing into the box. Go ahead and name it "deadlinetext" if you're not sure what to call it. You can always change it later. You can add this webhook anywhere in your automation where you want the deadline to be triggered. To add the webhook in the automation, click on the plus symbol, then choose Conditions and Workflow, and then click on Webhook and paste your Deadline Funnel webhook in. Now the deadline will begin for each contact as soon as they reach that webhook in your automation. You can test by adding a contact to your automation, waiting for the webhook to happen, and then check under Event Tracking in Deadline Funnel to confirm their email address was received by Deadline Funnel.